Bitfluence claims to be a company that is specialize in Bitcoin trading. Profitable strategies allegedly generate a lot of profits. 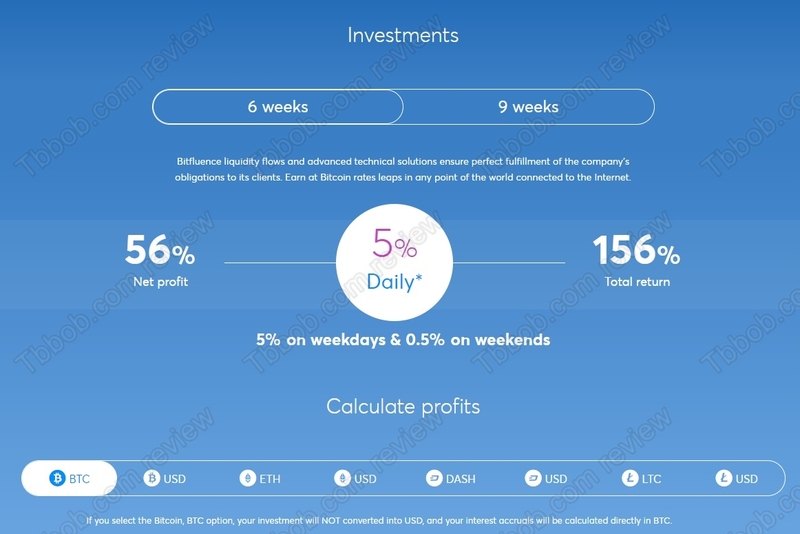 Bitfluence has two investment programs, one with a 5% daily return, the second one with a 4% daily return. It means more than 154% monthly, which is 54% net (weekend returns included). So, is it a real investment opportunity? Unfortunately, Bitfluence is just a Ponzi scheme, which means a scam. There is no real trading going on, just an illegal financial game. Bitfluence uses new deposits to pay profits, that’s how it works. So, it is obvious that Bitfluence is designed to fail, it is just a matter of time. Because with Ponzi schemes there always come the day when withdrawals start exceeding deposits. You have to realize that this program is offering not only 54% per month, but also 17% on referrals’ deposits. And the company wouldn’t do it for free, so real trading profits would have to be around 100% monthly. And such a number is totally unrealistic, only scams can promise anything like this. Another thing you should realize is that Bitfluence is totally anonymous. No address, no other contact information, no licence, no regulation. It means that when it fails, nobody will be able to help you. Deposits are made in cryptocurrencies, which means irreversible transactions. And you won’t be able to track whom you sent your money to. Bitfluence is a crypto Ponzi scam that will collapse sooner or later, it is given. So, stay away from it! 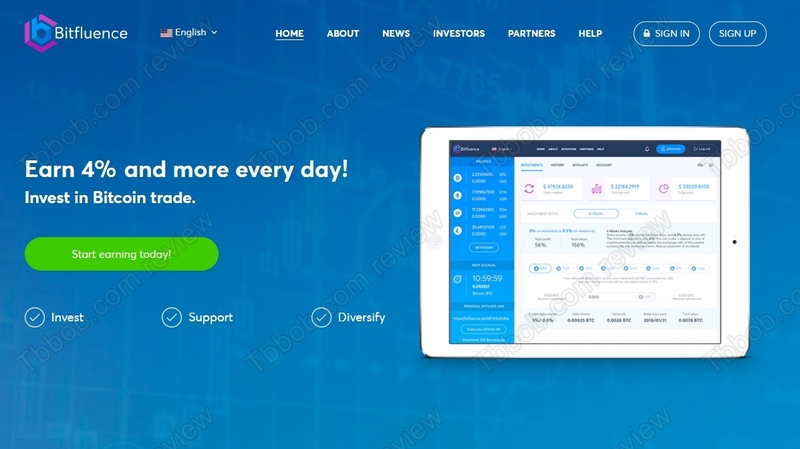 If you really want to trade cryptocurrencies, do it by yourself with a regulated broker, you can try it on a free demo. Don’t send your cryptos to anonymous parties that promise you free money.